When caring for bariatric individuals, it's vital that you provide a bed that not only supports them but also helps them feel comfortable during routine nursing procedures. The Soprano Bariatric Profiling Bed has been developed to provide comfort and ease of care for bariatric patients, featuring electronic profiling and an auto-contour function for safe patient positioning and maintenance. 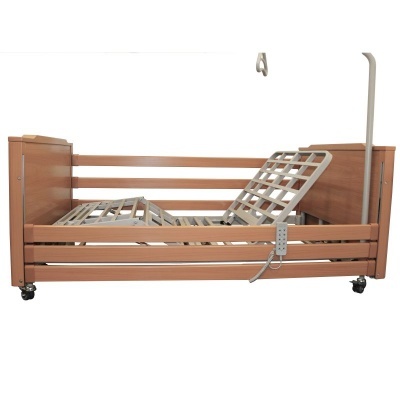 Supplied with an intuitive 10-button handset and an auto-regression backrest, this bed ensures profiling is safe and smooth to provide a better environment for both patients and staff. 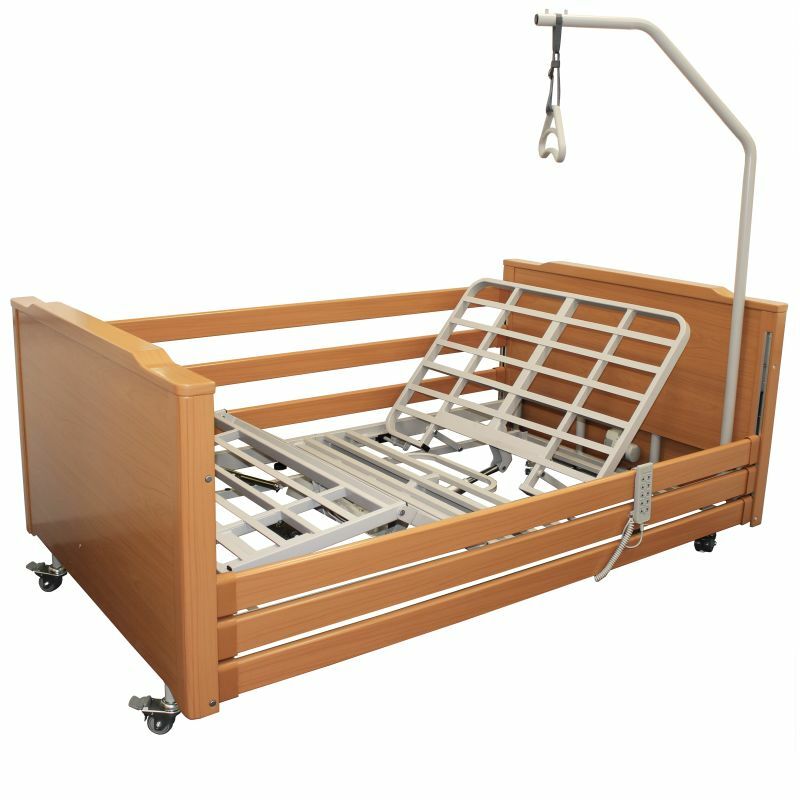 Supplied with an intuitive handset, this electric profiling bed makes it incredibly easy to properly position patients. To ensure that settings cannot be altered by the patient, the handset features an auto-lockout function, preventing any changes being made to the setup. An auto-contour function enables you to automatically position the patient in a way that prevents them from sliding down the bed, improving comfort and support. Additionally, the bed features an auto-regression function, minimising pressure on the sacrum area while the bed is profiled. For easy customisation, this bed features a 150mm integrated bed extension, providing extra bed space if required. The height can be adjusted from 270cm to 680cm, while ensuring that excellent ground clearance is maintained. 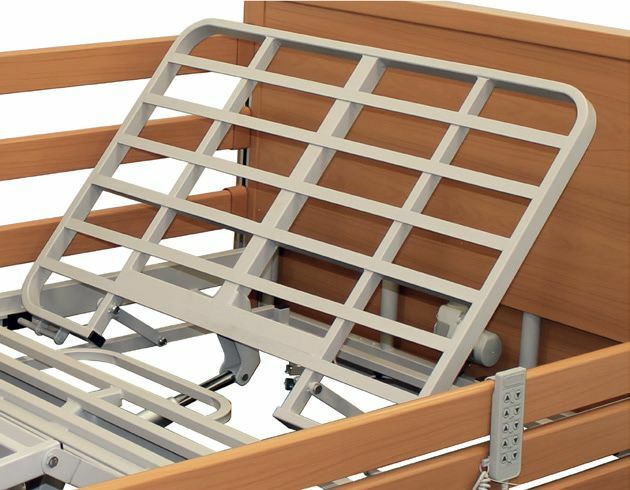 Detachable side rails make it easy for nurses and practitioners to provide care while ensuring the patient is safe and stable in their bed. The bed features a maximum user weight of 350kg (55 stone) and a safe working load of 385g (60 stone). This makes it ideal for use with bariatric patients, enabling you to provide them with the care they need. A slatted mattress platform provides durable and secure support for most mattresses, including pressure relieving mattresses. The Soprano Bariatric Bed is also capable of placing patients in trendelenburg and reverse-trendelenburg positions. This makes it suitable for a wide range of care and medical uses, increasing its versatility for more complex care provisions. Please note: The Soprano Bed is not supplied with the lifting pole in the image above.